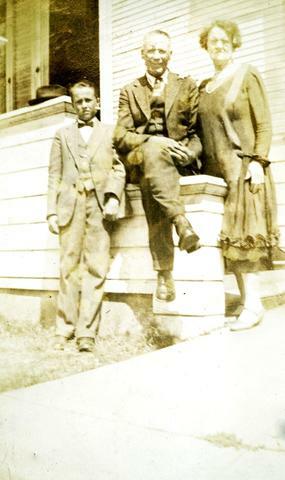 Photograph depicts a man and a woman posing for a photograph near a house. A young boy stands with them. Handwritten annotation below the photograph reads, "Mr. & Mrs. Paynter also Clyde".